• Mediation – Meditation is the most vital part of Siddha yoga. You need to start your yoga practice with meditation so that an encouraging mental situation is created and it becomes easy for the Mantras to work effectively. • Chanting – Chanting Mantras should be done simultaneously while performing meditation. It is considered to be the key to an effective Siddha yoga practice, which triggers the ‘divine cosmic force’ present within our body. Even though the most common mantra used in this type of yoga is ‘Om Namah Shivaya’, you can also focus on ‘Nama Sankirtana’, ‘Gita Patha’, ‘Kundalini Stavaha’, arati, and so on. • Seva – ‘Seva’ refers to ‘selfless services’, which is regarded as the best offerings to the God. You can either join a well-known organization to volunteer such works or go to an ashram for practicing this well. • Dakshina – Siddha yoga practice also include gifting your guru, which is termed as ‘dakshina’. It is nothing but the way to express your gratefulness as well as admiration to your teacher for showing you on the right path of spirituality through proper teachings. • Satsang – This is basically an assembly where a group of people of like-minded people meet each other and carry on devotional talks. You can also meditate, chant and even sing devotional songs during attending satsang. • Intensives – These are also devotional gatherings, which are arranged only twice every year. You should attend these gatherings in order to fuel yourself with spiritual energy. 1. 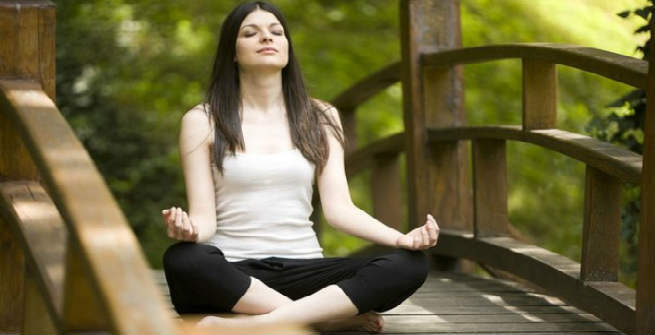 Provides relief from extreme stress, anxiety and depression. 2. Makes us conscious about our entire physical system. 3. Deep breathing stimulates the flow of oxygen throughout the body. 4. Boosts up our metabolism through enhanced oxygen flow. 5. Speeds up the physical healing process and eliminates a number of chronic ailments. 6. Gives us a strong, stable and unbiased mind. 7. Makes us more focused by uplifting our concentration level. 8. Plays a key role in cleansing three vital aspects of a human being, which include ‘body, mind and soul’. 9. Helps in uplifting a person to the highest spiritual level. 10. Helps us achieve optimal health and well-being.